It's a fact that more car buyers with less than perfect credit choose to finance used cars because they're usually more affordable. But, among other things, there's also the chance that they may be checking one out that has one or more open recalls. At Auto Credit Express we realize this could be the case because for more than twenty years we've been helping car loan applicants with questionable credit find the right new car dealers who can give them their best opportunities for approved car loans. But the fact is that while subprime lenders won't finance vehicles with branded titles (including those that have been stolen, issued a salvage title or cars that have sustained water damage), the fact is these types of titles are not issued to those with open recalls. According to Carfax, used car buyers are "at considerable risk due to auto recalls being ignored." Research that the company has recently completed shows that the number of cars being offered for sale online that have unfixed recalls increased, on average, more than 25 percent in the states of Iowa, Missouri, Kansas, Indiana, Wisconsin and Michigan. And while their statistics show that some improvement has been made over the 2.7 million vehicles with open recalls sold online in 2011, nearly 2.1 million were for sale online in 2012. 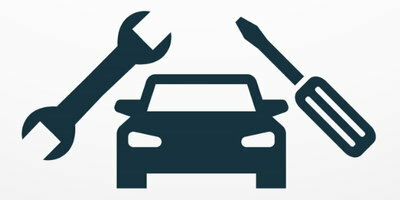 Carfax also points out that "Addressing open recalls is vital to a car's safety, performance and resale value." "Consumers seem to be more aware of this threat, but there's still a long way to go," said Larry Gamache, communications director at Carfax. "Before a car changes hands, there's lots of opportunities for everyone involved to check for open recalls. Yet this data is proof that it's not happening enough. A simple online check and visit with your local dealer is all it takes to help improve public safety." Unlike flood damaged cars, however, finding used cars with open recalls and getting them fixed is easy. 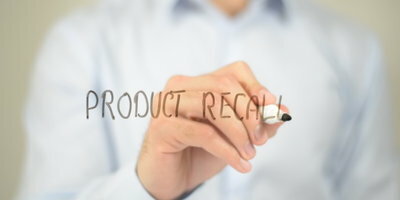 Carfax offers a free service that allows consumers to check for open recalls simply by going online at recall.carfax.com. VIN-specific open recall information that is reported to Carfax by the auto manufacturers is also included on Carfax Vehicle History Reports. 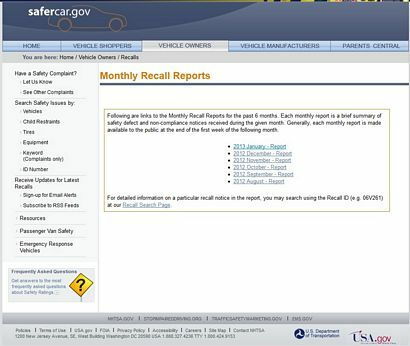 Car buyers wishing even more detailed information about a specific recall campaign can also visit this government website: www.safecar.gov. Consumers, especially those that have experienced car credit problems, should be especially careful when it comes to picking out used cars. While used cars that have been damaged are typically issued a branded title, those that have open recalls aren't. Another good thing to remember: Auto Credit Express matches applicants that have bad credit with dealers that can offer them their best opportunities for car loan approvals.